We’re finally at a point around here where it finally feels like Winter has left the building (well, literally anyway!). 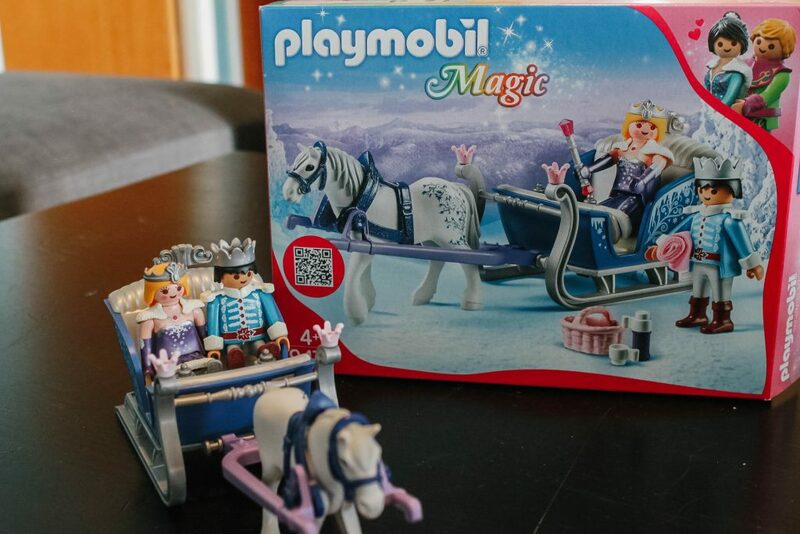 What better time to welcome it INSIDE with the addition of some Playmobil Magic fun? We’ve had this bad boy at our house for a little bit but hadn’t had a chance to crack it open and someone was super thrilled when we set aside an entire afternoon to make an incredible ice magic neighborhood come alive. When A was a lot younger, we had a few Playmobil sets that we stashed away for when she was older and I’m glad that we did! 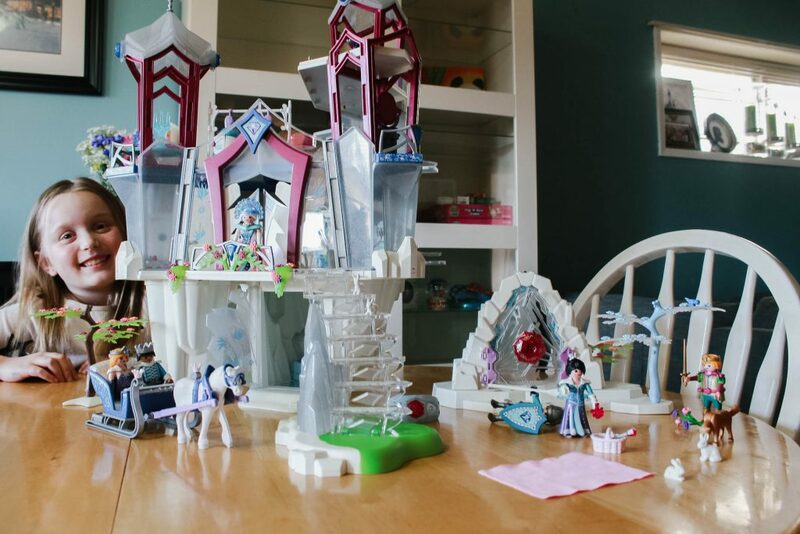 She has an entire city of different sets, people and accessories that are pulled out often for imaginative play. My favourite part? 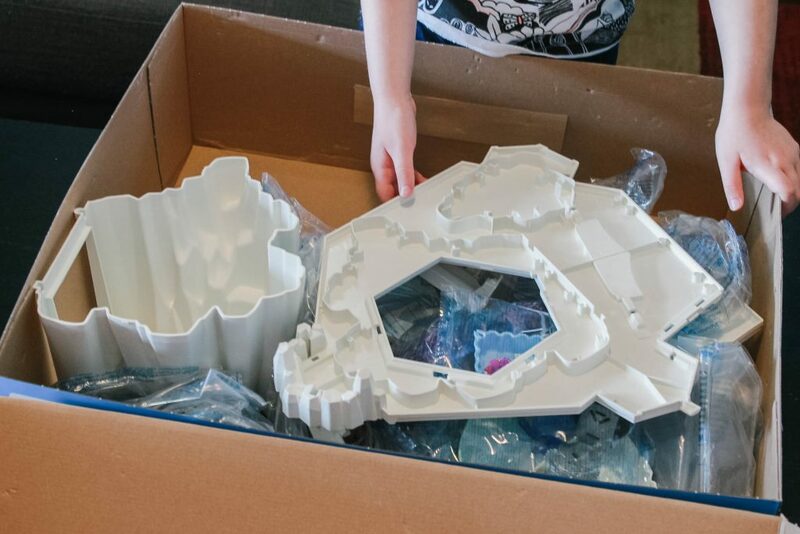 Once these bad boys are put together, they aren’t like a certain other building set where they eventually get destroyed (never to be built again!). Our favourite part of the Playmobil sets is how creative they really are. Each set can interact with each other, whether you have a shopping set, a hockey set, a space set or in our case, the Crystal palace sets. There is literally a set for just about every kid, at whatever point in their life they may be in. The interactive sets evoke a kind of hands-on play that immerses kids in different scenarios that bring out adventures and imagination that keeps them entertained for hours! 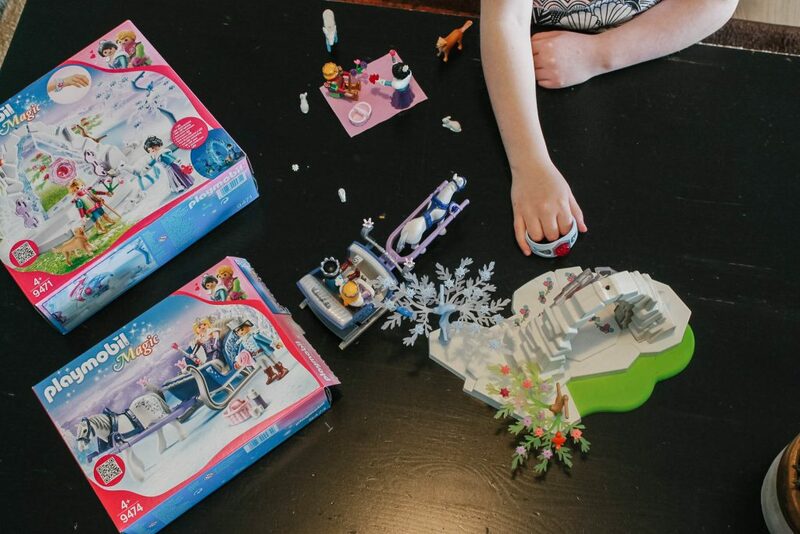 When the Playmobil Magic sets showed up at our house, A was instantly entranced with dozens of “Frozen” inspired scenarios running through her head and she was so eager to set it all up. 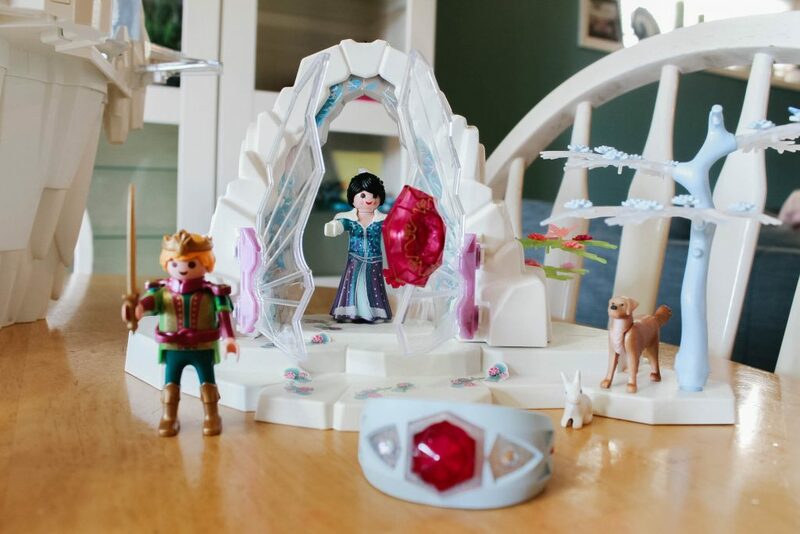 She was able to put together the Crystal Gate & Royal Couple with Sleigh set on her own for the most part and quickly scurried off to her room to play with them. The Crystal Gate To The Winter World quickly became a favourite with it’s accompanying bracelet that actually unlocks the gate! This fun little extra was a feature she was really excited to discover. The Royal Couple With Sleigh is a great addition to the Crystal Gate set and includes two figures, a horse and sleigh and accessories for a winter picnic. And to leave the kingdom you have to open the gate first right? I will admit, I was a bit apprehensive to dive into the full Crystal Palace set right away. We have been quite busy lately with work and activities and the warning on the back of the box that says “Important for parents: Time Required for Assembly: about 100 minutes” basically translated to “this is going to take Tara ALL DAY” – I am not the furniture builder in this house! On a weekend I decided this was it and dove in with A, we opened up the box after spending 10 minutes going through the back of the box and what was included. I’m not sure why I was so worried, everything was packaged perfectly and the instructions were fairly clear. It did take me about 2 hours with a bit of fiddling to get a few pieces locked in, but overall, we finished! 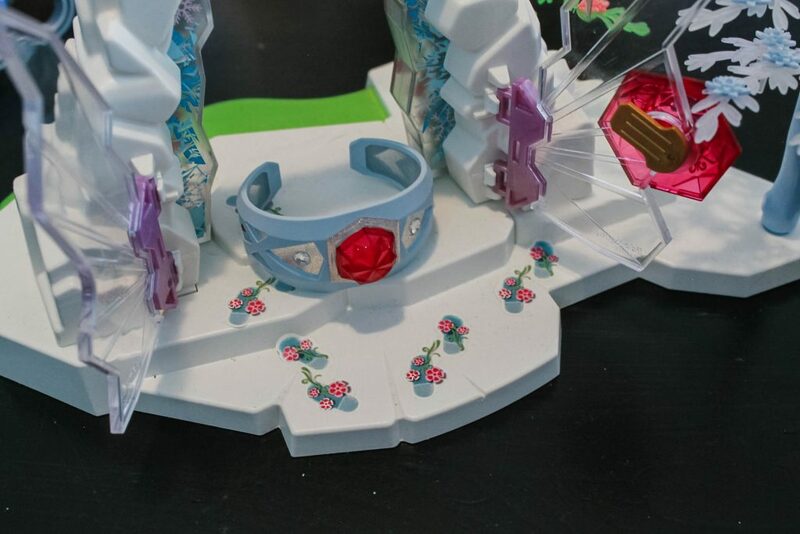 Full disclosure – there are very few parts of the actual castle that kids can help put together short of helping you find the piece, I let A tackle the small accessories while her dad and I worked on the castle itself. 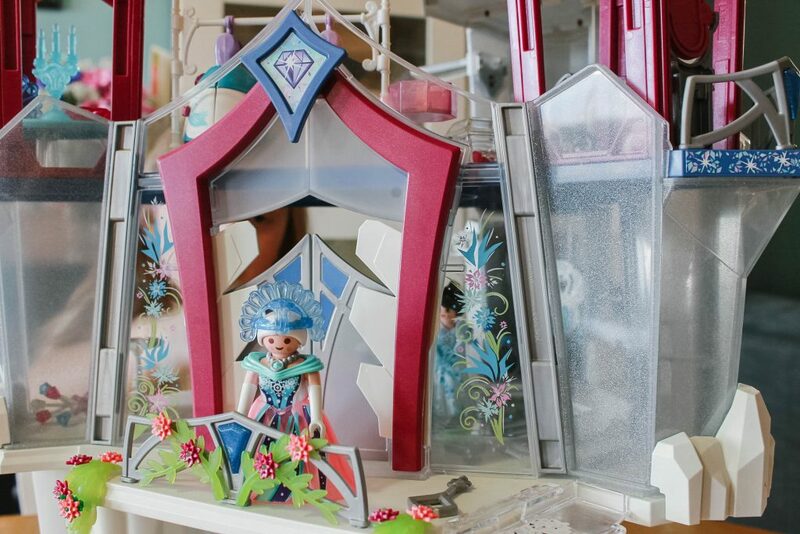 Much like it’s Winter Gate little sister set, the Crystal Palace has some fun hidden activities including a glowing gem in the winter cave, a gate latch, secret fold up stairs, a colour changing dress and a ton of little accessories to encourage endless hours of imagination. 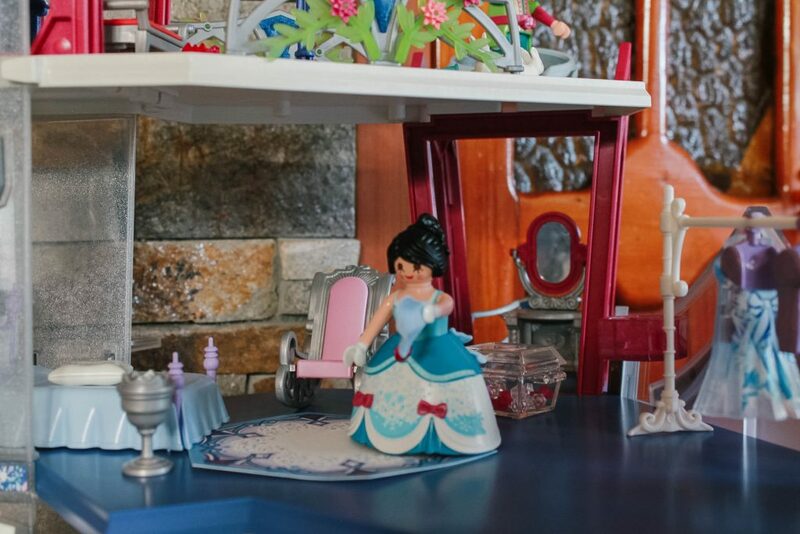 A loved that this set included enough to create a fun dollhouse with furniture, a dress up area and a writing desk. She’s had her Playmobil figure friends from every set come to visit the castle. Structurally, once the castle is put together it’s solid as long as you make sure everything is properly clipped into it’s the base area. It takes quite a bit of force to pull things apart which we loved since it gets moved all around the house for playtime. We usually hide all the little accessories in the bottom cavern when it isn’t being used to keep everything together and it works perfectly. 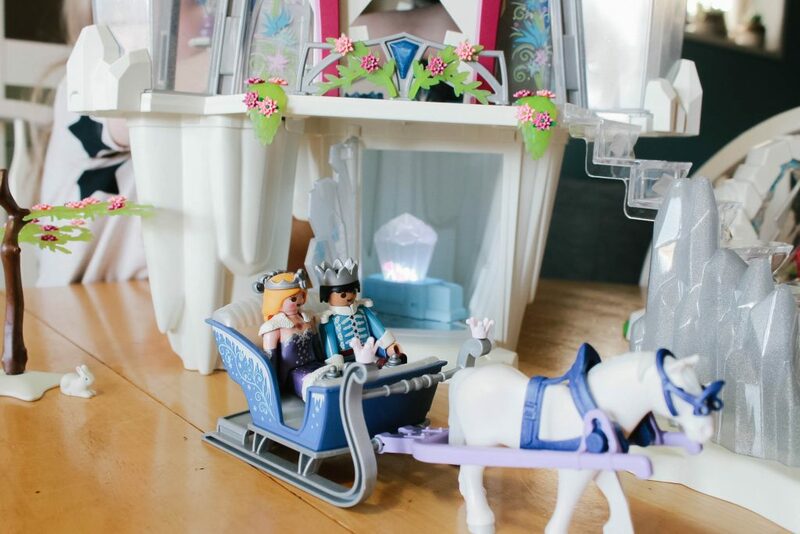 Though the sets interact very well with each other and make for a full Winter Wonderland display, they are pretty awesome as stand-alone sets as well that can be built upon in the Playmobil world. 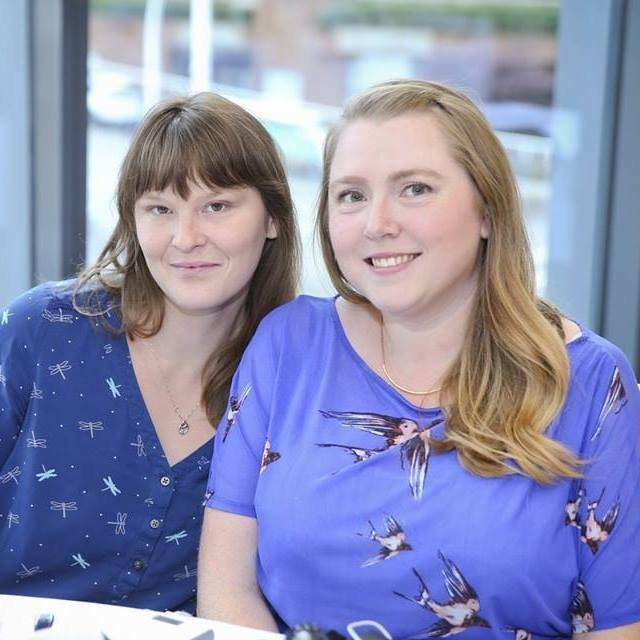 There are over 40 different play themes that have been distributed in over 100 countries worldwide so there’s tons of room for growth with any different number of sets that bring out different imaginative play. 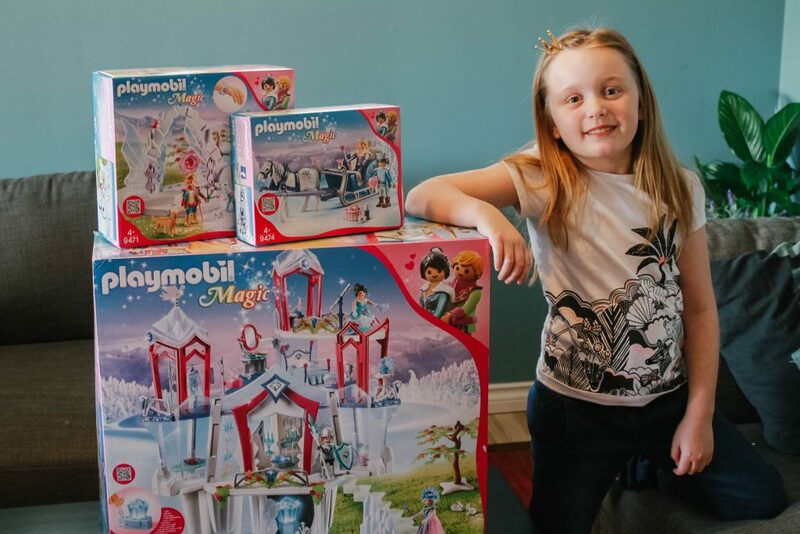 Whether you’re looking to bring Playmobil home for the first time or to expand on an already growing collection, the Playmobil Magic Winter sets have been a huge favourite in our house and played with the most out of all of the sets we’ve brought home. We loved how well these sets interacted with each other and expanded on the collection and can’t wait to add a few more to the Winter mix! Don’t forget to check out the outside of each box to see what your Magic set may do to surprise you. If you’re in the Metro Vancouver area, you can find a huge assortment of fun Playmobil sets at Kaboodles Toy Store as well as local toy and specialty kids shops! We hope you’ll join us in creating a fun, imaginative city right at home with creative Playmobil sets. The palace is amazing and something my granddaughter would love to have!